Welcome to the Feature & Follow #100!!!!!! I started blogging in August of 2009. It was mainly an experiment and something that I didn't think would go anywhere. I'm shaking my head as I write this, because obviously I was a bit naive back then. The community I think is the most obvious answer. Almost everyone in our little neck of the woods is friendly, helpful and just great to talk to. I've always had a lot of people around me that read, but hardly ever did they read the kind of books I liked. Now I have hundreds of people to chat with about certain books. It is awesome. That is a huge list! My all time favorites revolve around 'A Brave New World', 'Ender's Game', and 'The Vampire Lestat'. More modern loves include 'The Hunger Games', The Night Huntress Series and anything by the fabulous Ann Aguirre. Having a well-known author actually recognize me at a conference and one that I hadn't done promotional work for. That was off the charts cool and of course I felt like a rock star for five minutes. Blogging has introduced me these conferences and signings and awesome things like that, in which you get face-time with authors. I knew they had them, but I just never thought -- well I should go to that. Now, I have to go to ALL of them!! 5. Why did I create the #FF? One of the main questions asked to me in my Book Blogging 101 feature was 'How to gain more followers?' I use other blogging communities as inspiration sometimes and as a mom, I follow a few Mommy Bloggers. I'm telling you, those women come up with some stuff! They had these Hops -- from Monday - Sunday you could find a hop. Literally you could participate in one every day if you wished. I figured, something like this could work in the book blogging community and help start-ups get their name out there. 6. What blog posts are you most proud of? 7. Why did I create the #FF? I'm a mommy to a little 4 year old, who has tested off the charts so we are constantly trying to challenge her and teach her. That could be my full time job. Then I design, design, design (I should do this more all of you on my waiting list are probably glaring at me)…then I have this HUGE family, which takes up the other time. There is always a party or a function or just hanging out at the pool. I think that is about it. I've tried to pick up cool hobbies or be crafty, but they usually don't work. I paint and draw, but half the time, it's sketching out a clients work and not hobby. My husband and I also tackled our first attempt at carpentry -- check the Vlog this weekend to see how those bookshelves came out. I'm still a little sore. Wood is very heavy. Feature and Follow Friday Giveaway Hop! Check Out the Other Giveaways on The Feature and Follow Friday Giveaway Hop! YAY! Congrats on reaching 100!! I am so happy for you guys and I can't wait to participate in more follow Fridays!! Hip Hip Hurray! Congrats on 100!! This is such an awesome accomplishment. You ladies are awesome! I had no idea that you liked to draw and paint, but that makes sense. Loved finding out a little bit more about you. Thank you for all the awesome blog posts and your help. I agree the community is the best thing about blogging. I LOVE our Book Trailer Thursday posts that I never skip! I love finding them, I love trying to figure out how people do them, I just plain love it! Congratulations on making it to 100! Congrats on 100! I'm not really sure which blog post I am most proud of, I'm just proud of the fact that I am actually blogging! Thank u for this awesome giveaway. I'd love to read Goddes Interupted, it's such a lovely coincidence because I just finished reading The Goddes Test and I loved it! Congrats on 100! That is such a big accomplishment! Here's to 100 more! I don't think I have a fave post really. I think my posts have come a loooong way since I first started blogging 3 years ago. I think I've come a looooong way since then! Congratulations on reaching 100 weeks, that's insane! Let's hope there are still hundreds more to come! I think I'm most proud of my Obsidian Review! because I'm a total fangirl and I was lucky enough to have Jennifer L Armentrout stop by and comment! Anyway Congratulations again and here's My Hop! Difficult choice... I would say that since I'm celebrating my first blogoversary I'm proud of all my posts xD. Lots of hugs and thanks for the amazing one you are hosting!!! I am probably most proud of my blog post that I recently wrote in regards to John Green's The Fault in Our Stars. I absolutely fell in love with that book and am now forever changed. That man is one fantastic writer. Here's the link for it! http://wp.me/p1G6rD-9b Enjoy! And thank you so much for such a YA-Tastic giveaway!!! It's hard choosing the post I'm most proud of, but they are definitely the posts that encourage people to check out a book that I love. http://yayforya.wordpress.com/ I am proud of my post about Miss Pergrine's Home for Peculiar Children by Ransom Riggs. Yeah!! Congrats to you and Rachel on reaching 100 weeks! I am probably most proud of my book reviews. I work very hard on them and hope they help other readers decide whether or not they want to try the book/series. Hello again and Congrats on 100 Feature and Follow. Come take a look at mine if you like. Wow! Congrats on your 100! Thats quite a milestone! I don't think I'm proud of any one post. Lol. Every time I look back at one to bask in my own amazingness, I see so many flaws I go hide under a pillow with a book!! I think my favorite posts are probably my author interviews :) They're always just so much fun to do. I hope this doesn't sound like I'm bragging, but, I'm most proud of my reviews, specifically the newer ones because I started using a different style. I don't have a blog, so I don't have a post to be proud of, but I'm enjoying learning about all these blogs! 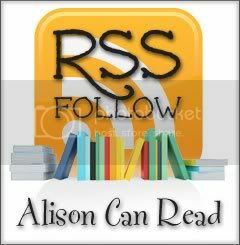 I love the blogging community too and Hunger Games and Night Huntress series. I also love Parajunkee's designs. Will really have to get one some day. I don't have a blog but I appreciate all the hard work all the bloggers do! I can't say that I have a post that I am most proud of. But overall I am happiest when I get a book review post out. Because those are by the far the hardest one's to do. Well not really the hardest I guess but they definitely do take the longest. You have to read the book, and then for me I have to give myself a few days to really think about my review and what it was that I loved and didn't like so much about a book before I can post up the review for it. But also the whole putting that post together, my reviews are the ones that by far take the longest to put together because there is a lot of HTML work that goes into making each one unique and pretty. Congratulations on reaching the big 100. That's crazy awesome and thanks so much for the giveaway. This is a great opportunity to network and gain new followers. I am just starting to create a blog, but I have not posted yet. I hope to do so soon, if life quits being crazy and throwing hurdles at me.